VIPAccessEXCLUSIVE: Holly Robinson Peete Interview With Alexisjoyvipaccess At The Ladylike Foundation Event! She’s beauty and brains, immensely talented, and true #BossLady – she’s the one, the only, Holly Robinson Peete! The remarkable Holly Robinson Peete is one profound and prolific actress who we all adore. She first won over the hearts of fans with her fan-favorite role in the highly-acclaimed, hit TV series, 21 Jump Street. Ever since then, Holly Robinson Peete has been non-stop with the terrific projects she has been working on from Hangin’ With Mr. Cooper to For Your Love, One on One, Like Family, Love, Inc., and many other fantastic projects. Now, the wonderful Holly Robinson Peete has been keeping busy with her new Hallmark show titled, Meet The Peetes, a reality series that allows fans to dive into the world of Holly Robinson Peete and her brilliant family. When she’s not working on her magnificent TV and film projects, Holly Robinson Peete devotes much of her time towards charity work and philanthropy. In fact, she has her own foundation with her husband, Rodney Peete, called the HollyRod Foundation, which helps families who have been affected by autism. Holly Robinson Peete is an absolute inspiration to all and she is one admirable woman who we all look up to. 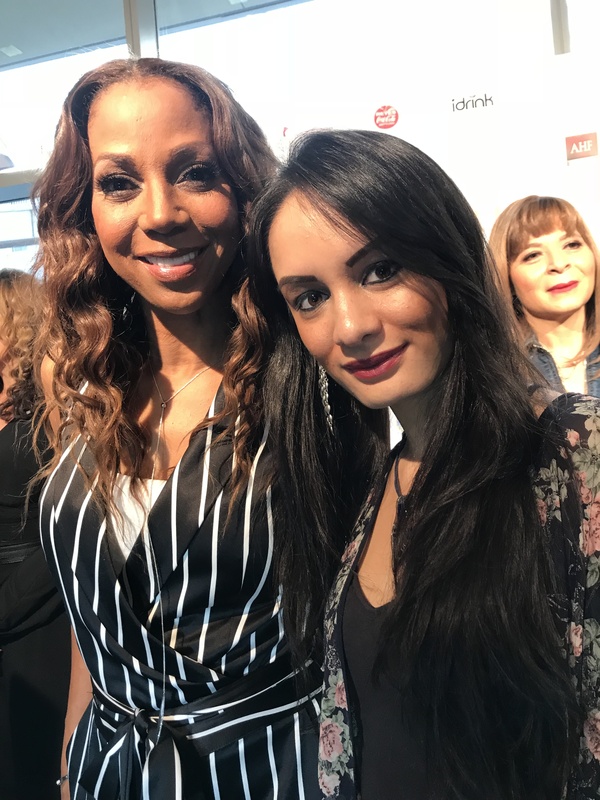 I, Alexisjoyvipaccess had an excellent time covering the Ladylike Foundation event and had a stellar time interviewing the phenomenal Holly Robinson Peete at the event. Holly Robinson Peete talked exclusively with Alexisjoyvipaccess all about what advice she would give to fans who want to follow after their dreams, what advice she would give her younger self, and so much more only in our VIPAccessEXCLUSIVE interview. Holly Robinson Peete even sent out a superb message to all of her fans – hear what she had to say in our VIPAccessEXCLUSIVE interview below. Thanks for the amazing interview, Holly Robinson Peete! Check out my VIPAccessEXCLUSIVE interview with the extraordinary Holly Robinson Peete at the Ladylike Foundation event below! Previous VIPAccessEXCLUSIVE: Jake Thomas Interview With Alexisjoyvipaccess At Teala Dunn’s 21st Birthday Party! Next VIPAccessEXCLUSIVE: Cookie Johnson Interview With Alexisjoyvipaccess At The Ladylike Foundation Event!